In 1956 Samuel Edward Bowens was All State as a senior at Williston High School in Wilmington, NC. He was a standout athlete in football as a quarterback and linebacker, in basketball as a center and in baseball as a shortstop. From 1950-1964 Sam had a respectful minor league baseball career playing in a number of cities, averaging around .274 during his 4 years. 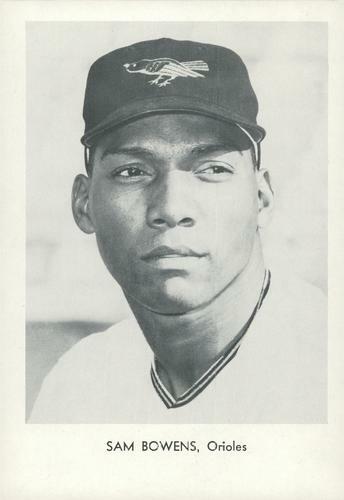 In 1963 he was elected to the International League All Star AAA team representing the Rochester Red Wings. His 1964 Topps Baseball card #201 highlighted his promising and productive minor league career. Mr. Bowens passed away on March 26, 2003.